While participating in a Rocky Top Sports World tournament such as soccer, basketball, or volleyball, kids get plenty of exercise. The physical fitness aspect of competitive sports is a tremendous benefit to kids. It results in stronger bones and muscles, as well as a leaner body since the physical activity helps to control body fat. 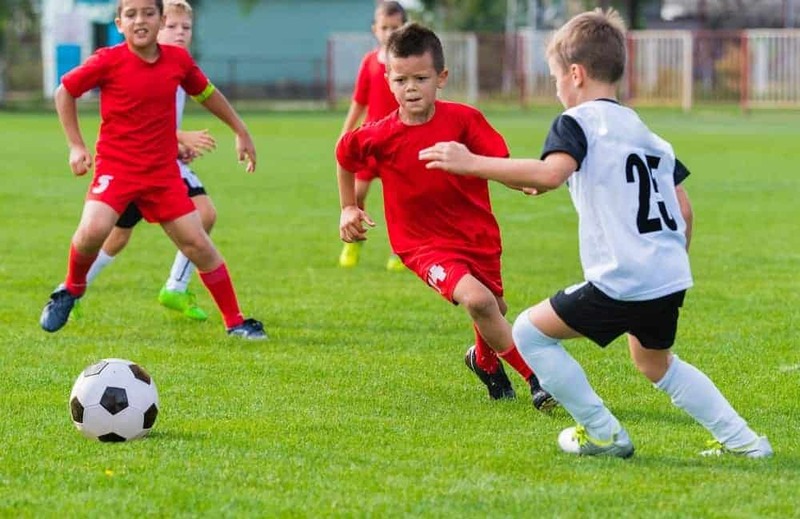 In addition, kids participating in sports tournaments may lower their cholesterol and blood pressure levels, and decrease their risk of developing type 2 diabetes. As a bonus, kids who get lots of physical activity tend to sleep better and are more productive during the day. The teamwork involved in playing competitive sports in the Smoky Mountains is a learning experience that teaches kids how to work together to reach a common goal. These skills becomes a basis for many activities later in life, such as in primary and secondary school, college, and in the workplace. By defining their role on a tournament team, kids learn how to adapt to other player’s personalities and achieve a positive outcome. Whether competing in a game of lacrosse on one of Rocky Top Sports World’s six outdoor turf fields or participating in an indoor wrestling tournament, players often cultivate close friendships with their teammates. By developing friendships with others who have common interests, kids are often left with great memories of their time spent playing in sports tournaments. Regardless of what sport you play, there will always be a winning and losing team. Players on the losing team learn to adopt coping skills to react to the outcome of a game. By coping with their loss and effectively dealing with their negative emotions, kids learn how to adapt these skills to all areas of life. During a sports tournament, kids are constantly challenged in various situations throughout a game. Therefore, they build a level of perseverance that helps them to take on and overcome any obstacles that come their way. Although soccer goals are great, the most important goals are those that are set in the minds of kids and teens during a sports tournament at Rocky Top Sports World. Setting goals is a necessary component of any sport as it allows players to determine the appropriate steps to achieve success. This becomes an important lesson that is used throughout life both on and off the field. While on the practice field and during competitive sports competitions at Rocky Top Sports World, kids learn to build the skills that are necessary for a successful outcome. This can involve a wide variety of abilities, such as developing solid time management skills by showing up for team practice sessions on time. Other skills might include developing strategies to improve their performance, building a sense of concentration and focus, or learning how to take responsibility for their personal success or failure. Visit our Smoky Mountain Sports Tournaments & Camps page to learn about all of our upcoming events! This entry was posted in Gatlinburg Sports Events on November 24, 2014 by Jason Fishman.